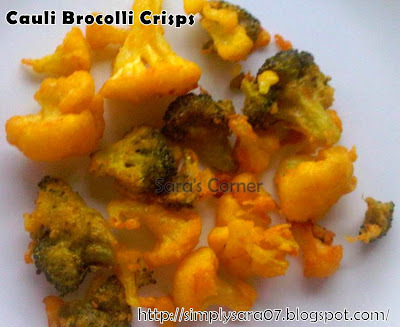 In my previous post, I had posted Cauli Brocolli Crisps. 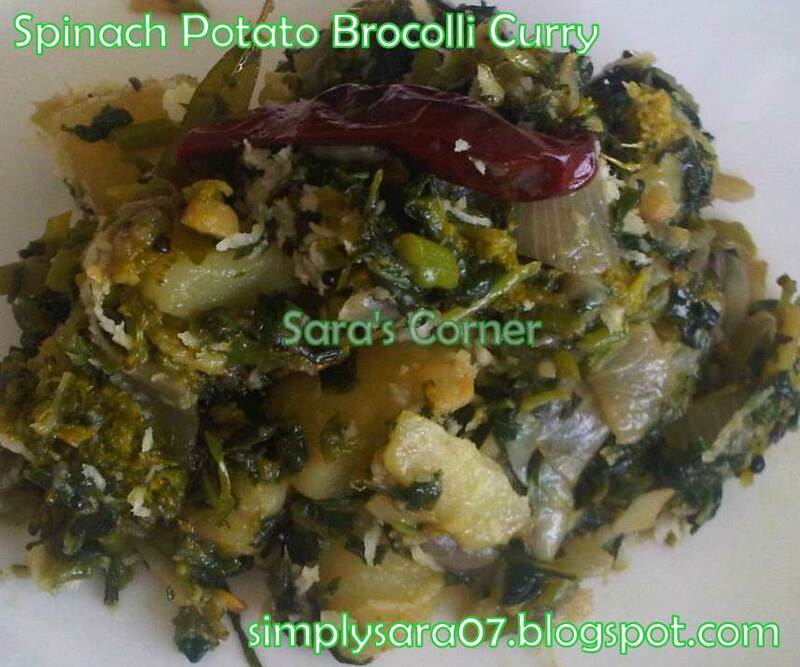 I used the same for making this Cauli Brocolli Manchurian. My family liked it a lot. In a pan add oil (Can use left over oil after deep fry) add onion, ginger, garlic and fry till its transperant. Then add chopped capsicum and saute. Add salt. Add all the sauces and mix. If required all some more sauce as per your taste. Add the deep fried veggie. Mix well cook for few mins. Garnish with chopped coriander leaves or spring onions. Serve hot with tomato sauce or fried rice. 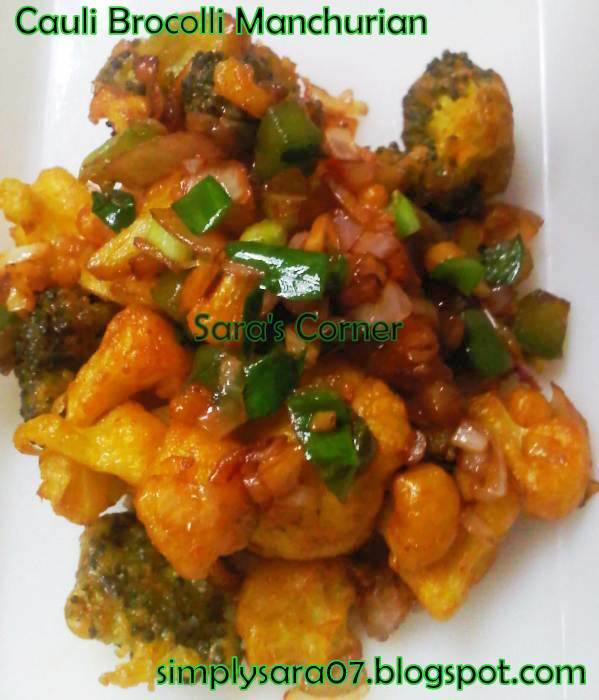 Enjoy the delicious Cauli Brocolli manchurian. Notes - Fresh coriander leaves (Cilantro) can be used instead of spring onion. 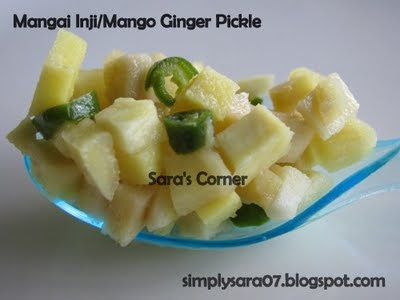 Mangai Inji/Mango Ginger is a traditional Tamil Brahmin pickle. 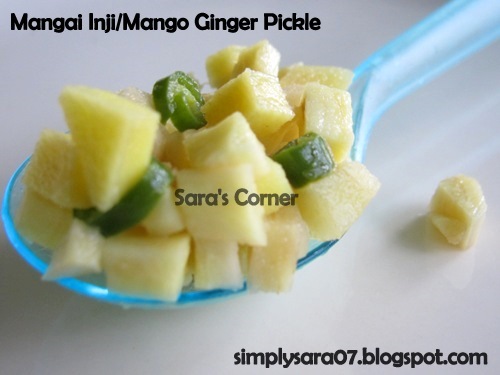 This has both flavours mango and ginger. This is available in India in Aadi Masam. But it was available at Little India. I have learnt all these recipes after marriage from my Mother-in-law. My hubby and in-laws like this a lot. Its good for digestion. Wash, remove skin and chop into small pieces. Chop green chilli also into small pieces. In a glass bowl, add both and mix with salt and lemon juice. Enjoy Mangai Inji/Mango Ginger with Curd Rice. Notes - Can be stored in air tight container for about a week. I tried this long back and got delayed in posting. Enjoy the Mango Apple Smoothie. In a mixie or blender add mango, apple without skin whip once. Then add sugar and curd and make a fine paste. Garnish with Pistachos and Serve chilled. Notes - If the mango is slight big you can add 1 apple. This recipe is going to Serve it chilled event by Denise and Krithika. Olan is a traditional Kerala dish. This is a traditional sidedish in Kerala. It is also prepared for weddings. Its pending in my drafts when I prepared last time and I made it yesterday. It is non spicy. Easy and tasty. Green Chilli - 1 or 2 nos slit. Pressure cook karamani with water upto 3-4 whistles. In a wide vessel, cook pooshanikai with water, green chilli, salt and a pinch of turmeric. Once its done, add the boiled karamani and coconut milk. Just let it bubble up and dont over boil. Off the stove add coconut oil and curry leaves. 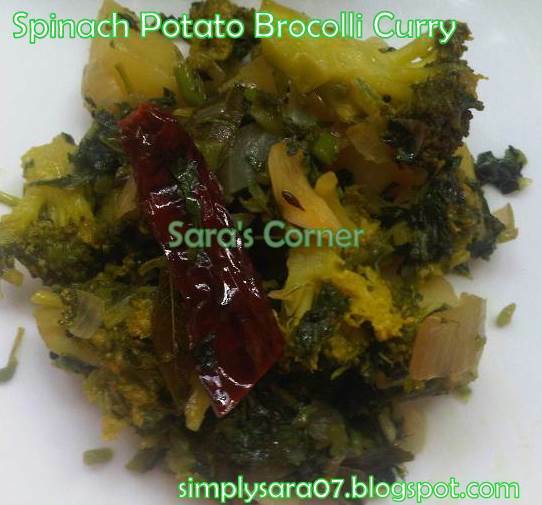 Serve with sambar rice as sidedish. I was away from blogging for a while and was enjoying with my sis-in-law in town for holidays. Hope you all are doing good. I will be visiting your blogs soon. Since my inlaws are here, I will posting few authentic and traditional Tamil and Kerala Recipes soon. 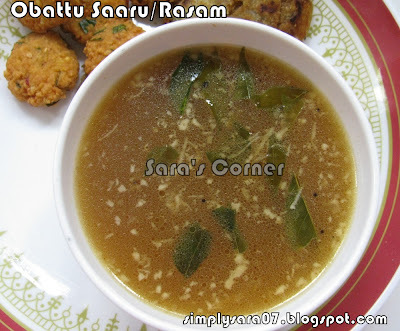 A sweet and tangy rasam, prepared with hoorna. This is prepared for Ugadi generally after making Holige/Boli. Checkout my recipe for Obattu/Boli here. Mix all the ingredients in a vessel and boil well in medium flame. Season it except coconut and garnish with coconut. Tasty Obattu Saaru is ready to serve. Serve hot with steamed rice.